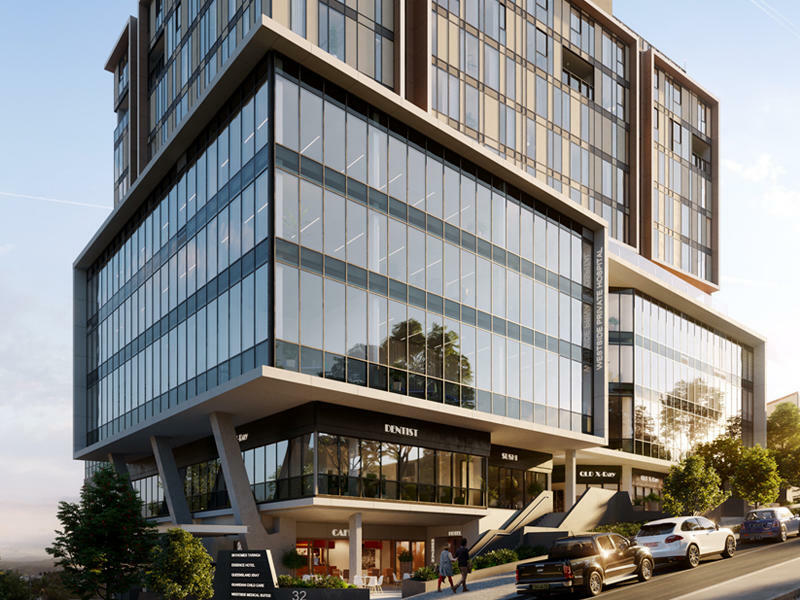 Convenience and luxury in the heart of Taringa. 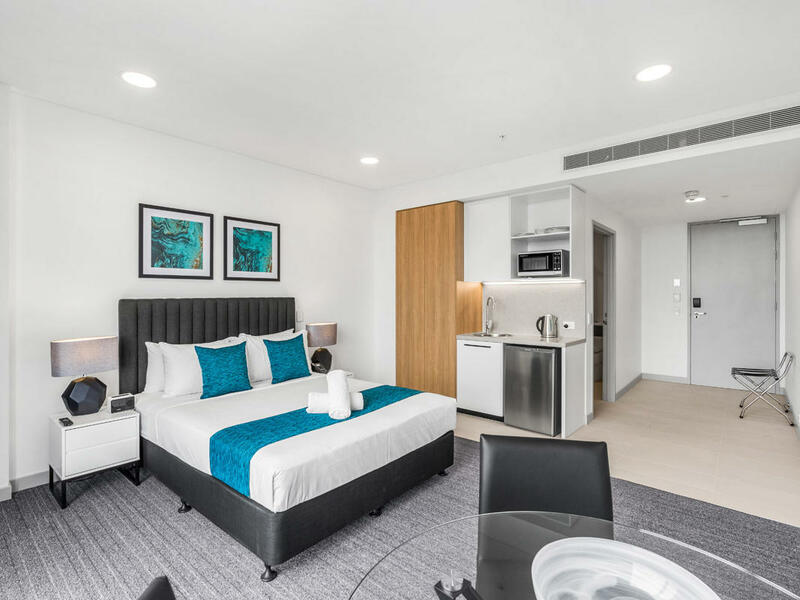 Essence Suites Taringa is a four-star brand-new boutique hotel with direct access to both the Westside Private Hospital and Taringa Train Station; we’re the ideal choice for medical stays, business or leisure. We offer 63 luxuriously appointed studio, one bedroom and two bedroom dual-key suites – as well as state-of-the-art meeting and conference facilities. 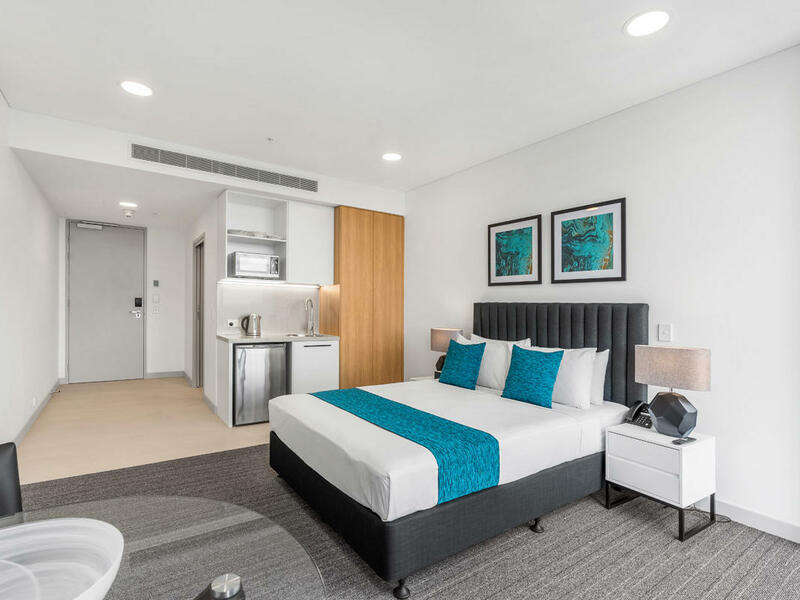 Located on levels 5-7, you’re invited to relax and unwind as you take in the sweeping views across Brisbane CBD to Mount Coot-tha. We offer 63 luxuriously appointed studio, one bedroom and two bedroom dual-key suites, as well as state-of-the-art meeting and conference facilities. 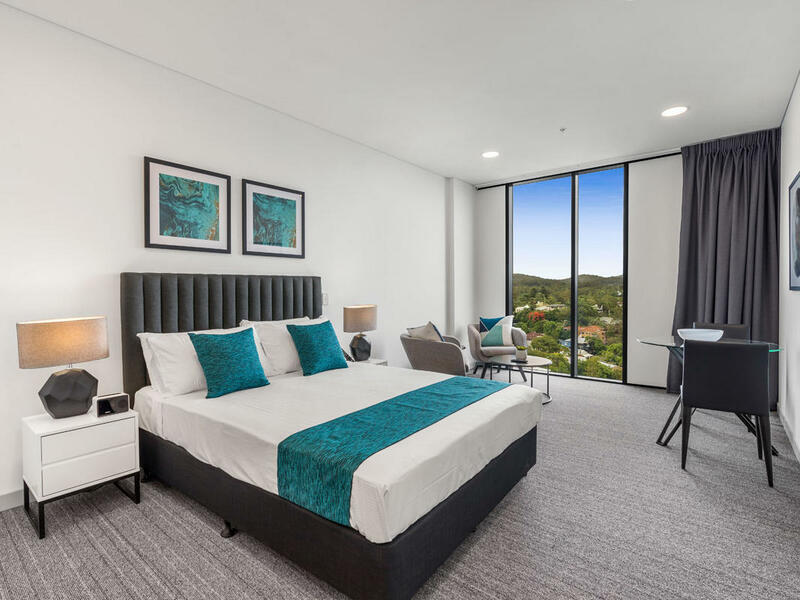 Located on levels 5-7, you’re invited to relax and unwind as you take in the sweeping views across Brisbane CBD to Mount Coot-tha. If you’d like to enquire about our suite or event facilities, or would simply like to make a booking, please get in touch.